Is that the sun I see in the sky? It must be getting towards summer. 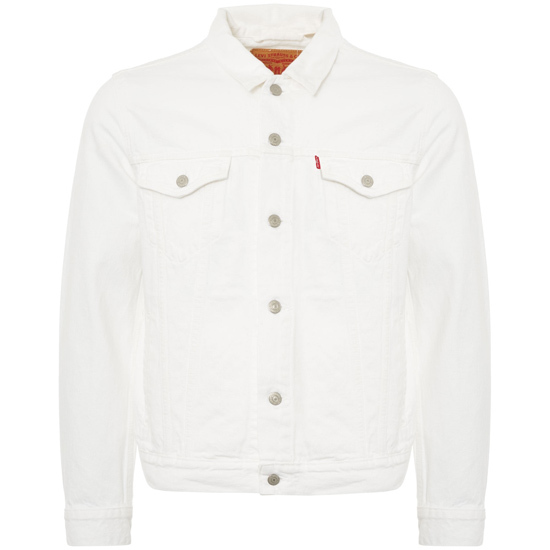 And if you need any more convincing, the Levi’s denim jacket in white is available once more. It’s not something you see a lot and certainly not during the winter months. But the trucker jacket (to give it the official name) is back now ahead of the spring and summer months. Let’s be honest, this is such a timelessly cool thing during the summer. As you might know, this particular style made its debut in the early 1960s and this one is pretty much faithful to that original style. 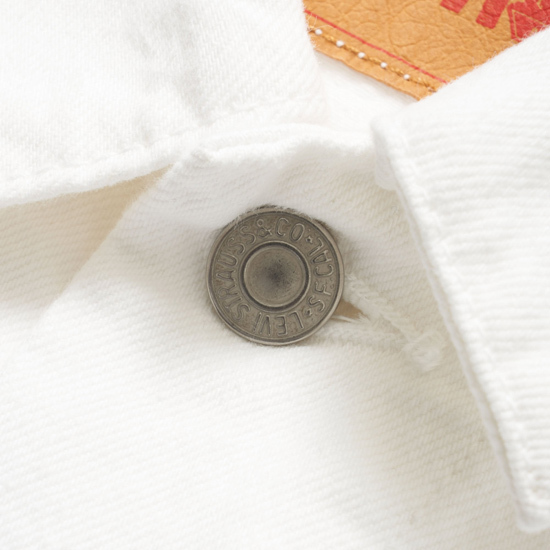 So outside of the white denim, you also get a standard fit, a hem that is just below the waist, welt hand pockets, a couple of chest pockets, side hem adjusters and a point collar. 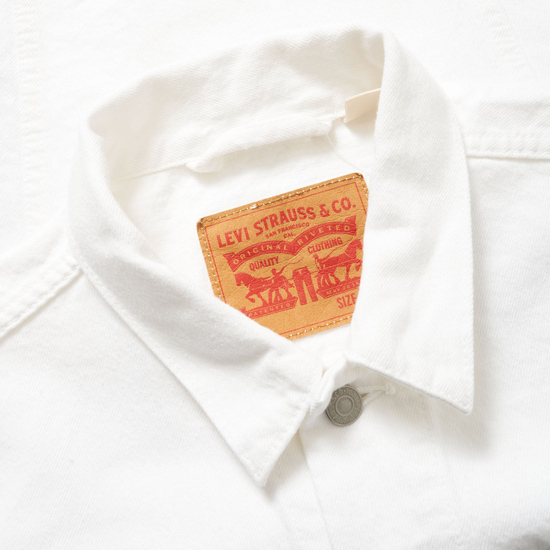 All of which is finished off with the Levi’s tab and a patch in the collar. 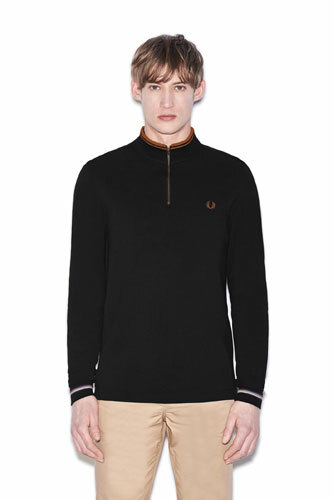 As for sizes, you can pick this up in the full range from small to XXL, all of which are priced at £85. If you want one, don’t leave it until your summer holiday starts as I would expect this to sell through pretty quickly. 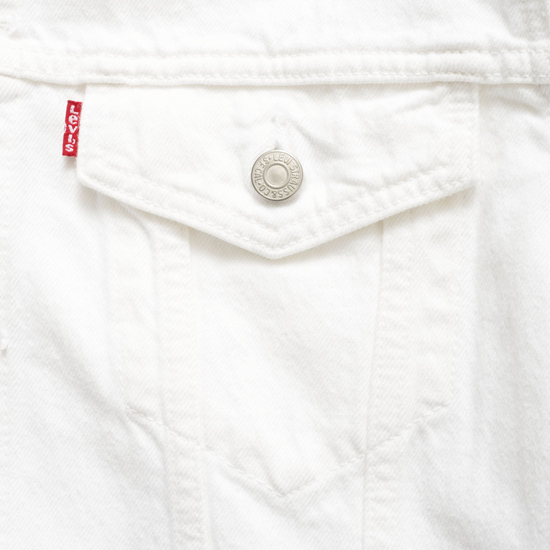 Update: Just noticed you can also pick up Levi’s white jeans at the same retailer too.